We manufacture and supply Water Absorption Tester. Top class raw material is used to manufacture our product. 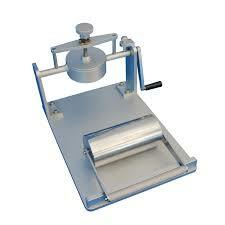 Our Water Absorption Tester is ideal for measuring the degree of water absorption of paper i.e. the capillary rise in millimeters by suspending a specimen in a vat filled with water.